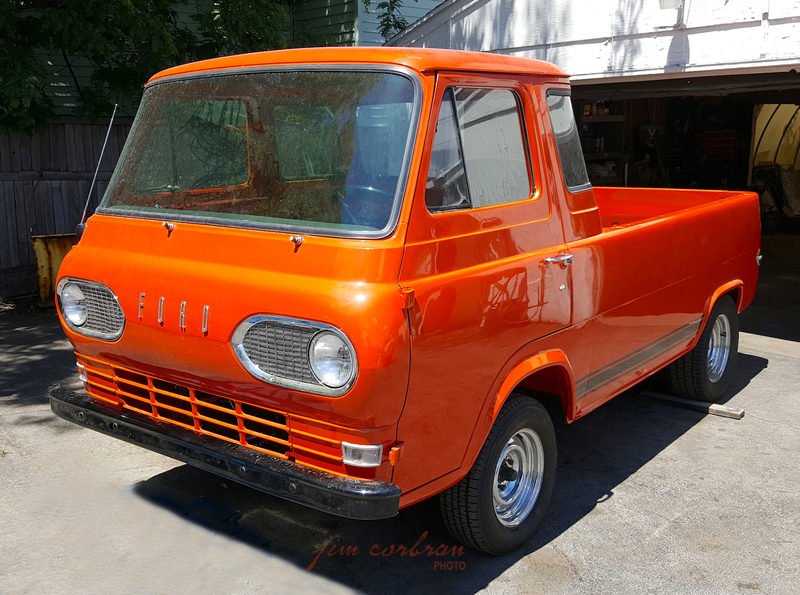 This 1961 Ford Econoline pickup is in the midst of a resto-mod at a North Tonawanda garage. The Econoline was an all-new model for 1961, and came in delivery van and station-bus models (bottom of page) as well as this nifty half-ton pickup. With a seven-foot bed, Ford advertised it as having up to 23% more loadspace than conventional pickups, with the added bonus of cab-forward design and a short 90-inch wheelbase — which together added up to provide ease of parking. The standard in-line 144-cu. in. six will soon be replaced in this orange example by something with a little more oomph. Looking forward to seeing the finished product!